All PC HelpSoft products come with our 100% free technical support and a 30-day satisfaction guarantee. Our products will always be completely virus, adware, and spyware free. We will always treat your order privacy with the utmost respect. Our payment process uses the most powerful SSL encryption currently available. 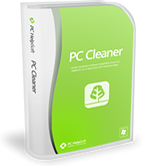 PC Cleaner™ works hard to keep your PC performing smoothly so you don’t have to. This top rated application automatically optimizes registry settings, manages startup menu, removes junk files, protects your privacy and much, much more. 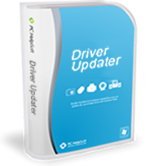 Award winning PC HelpSoft Driver Updater offers a simple way to manage the hardware on your PC by updating, backing up and restoring your critical hardware configuration. Get your Windows devices working in minutes with this amazing utility!